Children nationwide will soon have the opportunity to meet their favourite Little Island authors in a new and unique setting. 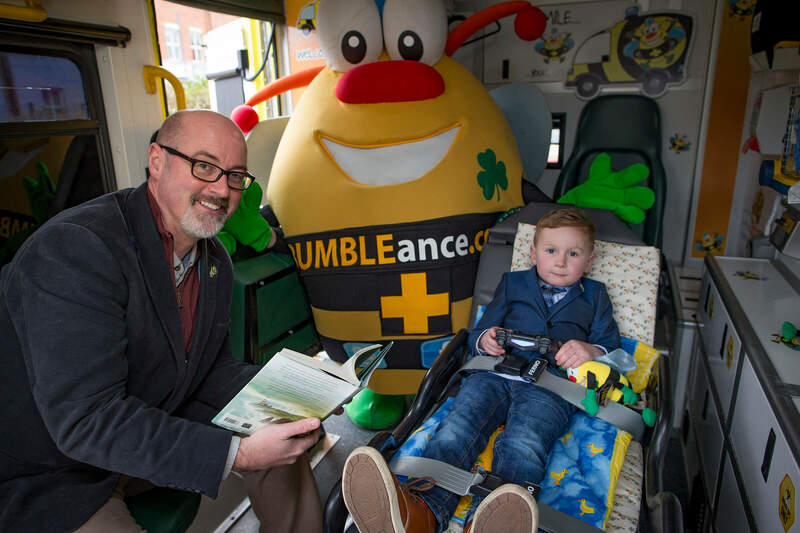 Announced in late March, the partnership between Little Island and BUMBLEance, The Children’s National Ambulance Service will see authors visiting schools, festivals and libraries on board BUMBLEance to read from their work and to meet with children across primary and secondary schools nationwide. 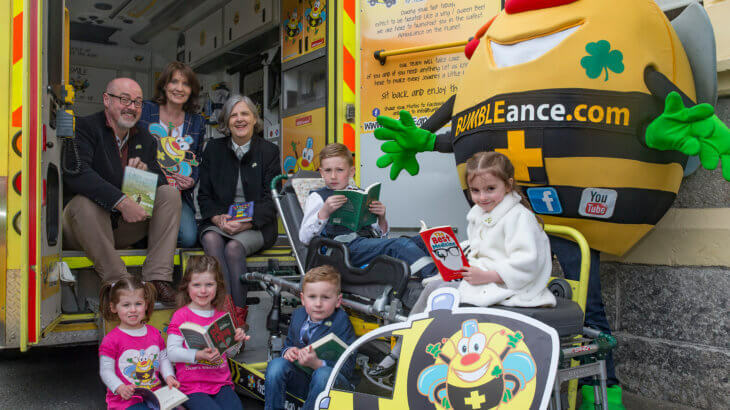 BUMBLEance, The Children’s National Ambulance Service, is delighted to be on board with the BOOKWORMS tour. BUMBLEance is the only ambulance of its kind in the world and is specifically designed and tailored for sick children. 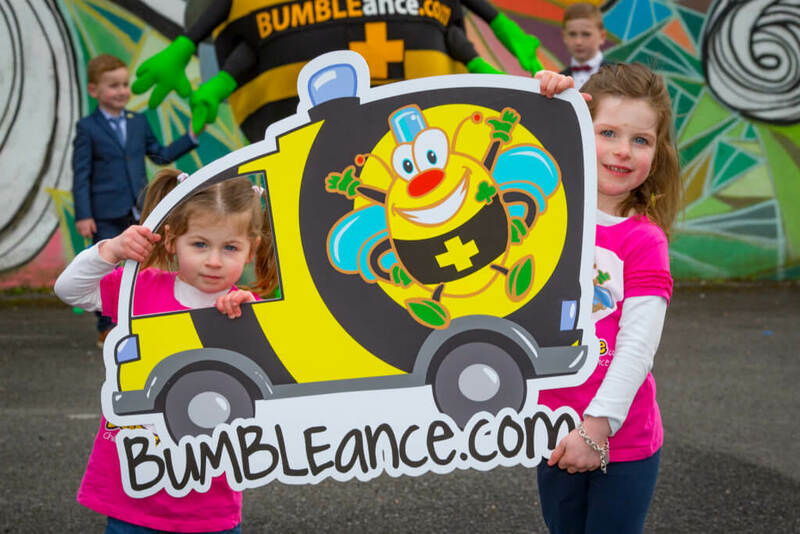 The BUMBLEance service transports critically and seriously ill children to and from their home, to paediatric hospitals, respite facilities and care centres throughout Ireland. The service also provides inter hospital transfers, the chemo cab service and Angel Trips. An Angel Trip is the final journey a child makes on earth before he or she grows their Angel Wings. 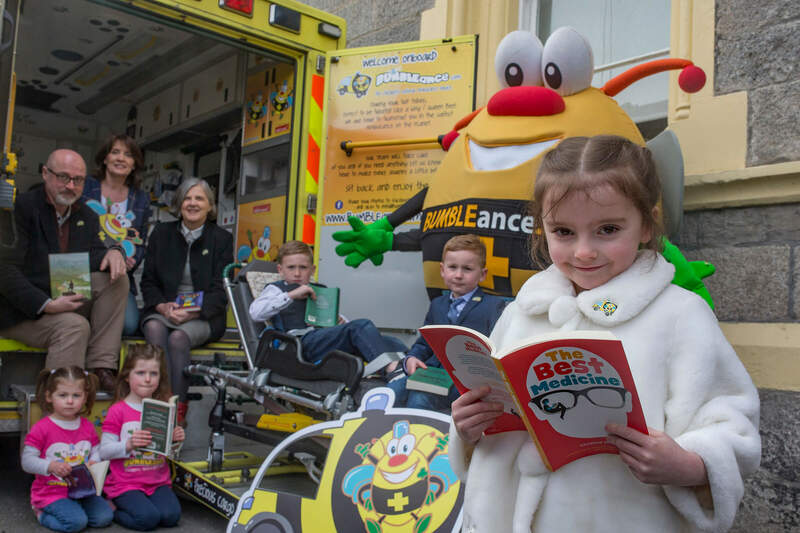 The BOOKWORMS BUMBLEance initiative was launched in an effort to educate young children about illness in an interactive, informative and fun environment and the program will showcase to children and teens how they can help and support sick children nationwide. Starting in March the ‘Bookworms for BUMBLEance’ road trips will visit schools in Dublin during its first two months and will also visit several Festivals and Events nationwide throughout 2017 and beyond. Our tour so far has included five schools throughout the Dublin area, and will soon be heading to another school in Dun Laoghaire followed by the West Cork Literary Festival and Listowel Writers’ Week. See you there! The project has been generously backed by the Arts Council and The Saoirse Foundation is hopeful of securing further funding for it in future. Uncategorized ambulance, Bookworms, deirdre sullivan, Lucinda Jacob, patricia forde, pj lynch, siobhan parkinson, tour. permalink.